While white has always been the traditional wedding gown color, many brides are showcasing their unique style through the color of their wedding gowns! Ivory, Blush, Champagne - How does one choose? It is very important to keep an open mind and decide on a color that you truly love and will love in photos for a lifetime. While pictures online are helpful, it is highly recommended to look at colors in store as photos often distort the true color. Dimitra Designs in Greenville, SC is proud to carry a wide selection of wedding gowns in a variety of colors. 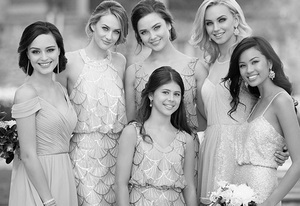 Make it a point to schedule an appointment with a member of our experienced bridal team. 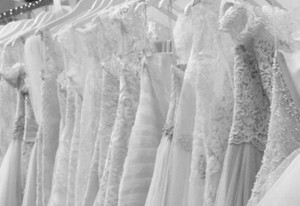 They will make sure every last detail - especially the color - of your wedding gown is perfect!